This book will take you on a journey back to the early part of the 5th century. Little information exists regarding life and conditions prior to that time in the land named Hibernia – the island lay on the edge of the known world beyond the fringe of the Roman Empire. It took the mission of the man we call Saint Patrick and the discovery of his writings to see the beginning of any real history of Ireland. 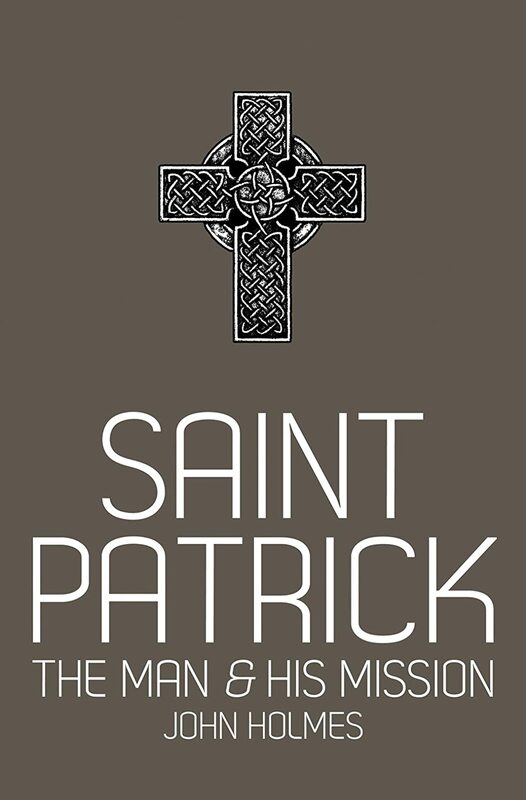 More important still is the fact that these writings provide such a vivid picture of Patrick himself that the force of his personality and the fervor of his faith still live today. Here then is a voice from the distant past! Not a faltering voice or a melancholy voice but a voice full of certainty and hope and joy. The voice of a man in touch with God. Living in Ireland, John Holmes would often drive through the quiet Antrim countryside where the impressive sight of Slemish Mountain would cause his thoughts to turn to Patrick. In due course, he had opportunity to research the man and his mission at the History Department of Queen’s University, Belfast. Thus began a journey of discovery; one which was to capture his mind, touch his heart, and at times bring him to tears as he discovered the real St Patrick, the most famous figure in Irish history.